For as long as I can remember, I’ve been fascinated by aviation. When I was 7 years old, my neighborhood friend Eric’s father took us to an airshow in Atlanta to see the Blue Angels. I’ll never forget the sound of that F-18 squadron as it tore across the sky above us. As childhood enthusiasts, Eric and I built model planes, flew RC planes, and flipped through airplane calendars on the floor. We took in as much as we could. I’ve probably seen Top Gun fifty times. 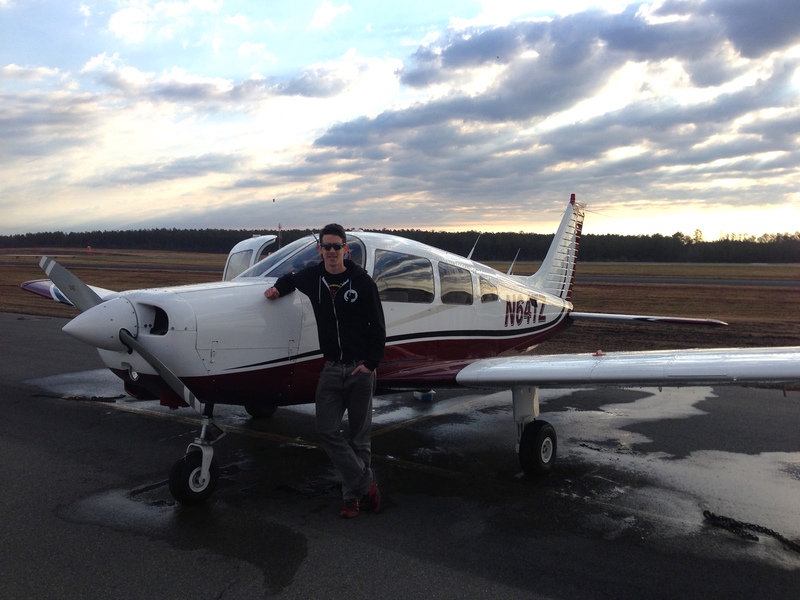 Eric ended up studying aviation in college, and now flies commercially for US Airways. I dove into the world of private aviation several years after college, and earned my private pilot’s license in April of 2014. First solo flight on October 17, 2012 in N89333, a Cessna 152. The 2-year journey to obtain my license was rewarding, challenging, frustrating at times, full of learning moments, and extremely fun. I’ve been asked lots of questions about the experience of obtaining a license, so I thought it might be fun to share a bit about my own learning experience with you. Under Part 61 of the FAA regulations, the minimum number of hours required for a private pilot certificate is 40 hours. The US national average is believed to be around 65 hours. Because everyone learns at a different pace, you might end up spending less time than I did training. You might spend more time training. One of the biggest perceived barriers to flying is the expected cost of doing so. It is not the cheapest hobby, certainly. But from a monthly cost standpoint, it’s also not the most expensive hobby. The monthly worked out to about $400 per month over the course of my training. So did you rent a plane for training or did you have to buy one? The short answer is that I rented. The long answer is that I’m a fractional owner in 13 club aircraft as a member of the Wings of Carolina flying club, along with 300+ other club members. As a member of the club, I’m able to rent out aircraft by the hour (think Zipcar for planes) and pay a flat hourly rate that includes fuel. 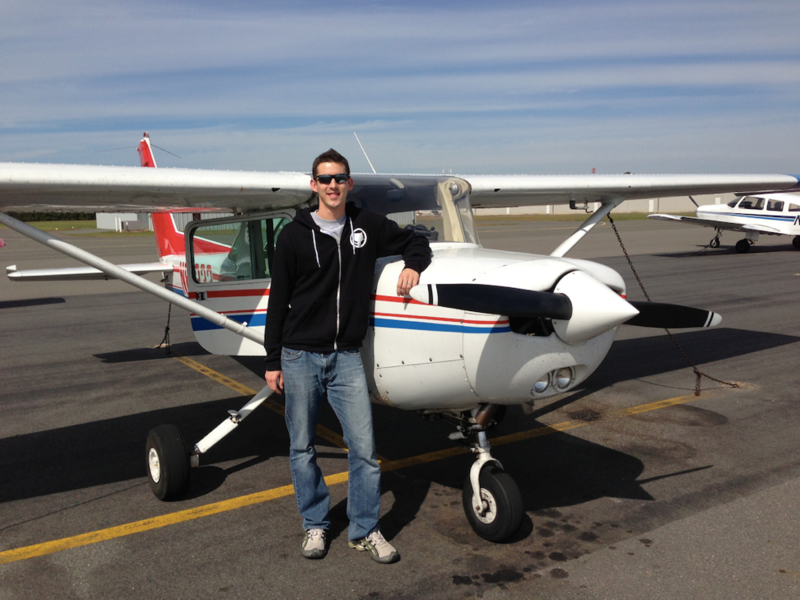 When I began my training in 2012, a Cessna 152 rented for $69.35 per hour. I’d say that the generally accepted rule of thumb is that unless you’re flying 200 hours per year, you should probably rent. Where do you fly when you’re training for your private license? Generally, we stayed within about 15 miles of my training airport, KTTA. The vast majority of the training required for the private license consists of learning the fundamentals, as you might expect. There’s a lot to cover: preflight, takeoffs, landings, fuel management, slow flight, stalls, navigation, radio work, and lots more. For the most part, it makes sense to stay close to home to maximize the number of tasks you can complete per hour of instruction and aircraft rental. There are some fun requirements in the private pilot curriculum that do take you places, including requirements to build cross-country time (> 50 miles distance), night flights, and visiting an airport with a control tower. Towards the end of my training, I was able to combine a work trip with some flight training by flying with my instructor from Raleigh, North Carolina to Auburn, Alabama. It was a great trip that helped give me a small taste of future flying possibilities. You never know what your instructor will be up for, so think outside the box and suggest fun destinations during your training! 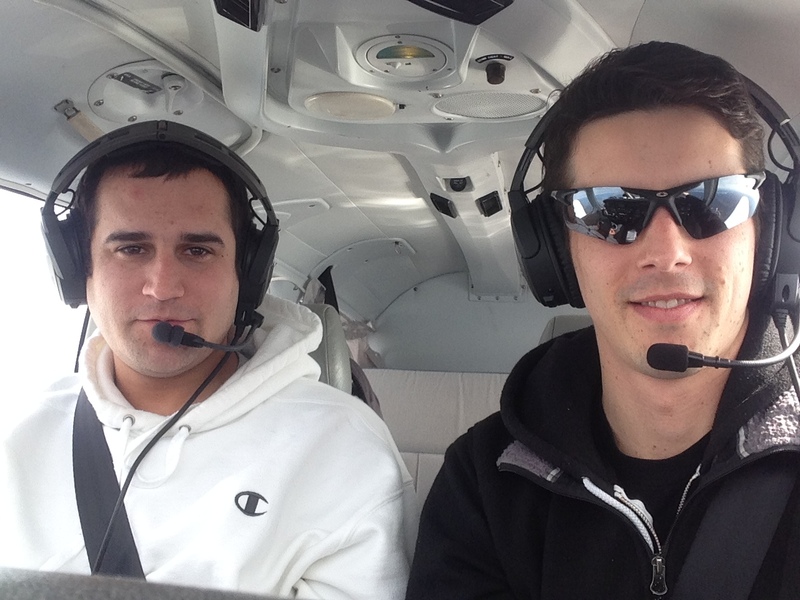 My instructor Mike and I on my first flying business trip. Since we were flying 4 hours across several states on this trip, we took a Piper Warrior because it has GPS, an autopilot, and more comfortable seats than the Cessna 152. I haven’t really gotten any questions about gear, but I know I spent a lot of time researching gear trying to figure out the essentials. Headset: You’ll want a comfortable headset with quality speakers and microphone for communication. You can pick up a used headset for around $100, or spend all you want on a new headset. If you can, borrow and try a few out on real flights before you buy so you don’t get stuck with something you can’t live with long-term. I’m a bit of an audiophile, so I went straight for the noise-cancelling Bose A20 headset. iPad: You’ll want an iPad loaded up with ForeFlight. The basic subscription costs $75 per year and has all the charts, weather, navigation, and airport data you could ever want. ForeFlight also syncs up with popular flight simulators like Xplane for home practice. Although you’ll probably also be learning with paper charts and plotters, it’s worth getting used to the iPad early because it becomes invaluable for real life flying beyond your private training. Flight bag: You’ll be carrying around lots of stuff at first. Charts, plotters, notepads, an iPad, headset, tire pressure gauge, fuel stick and/or sump, and more. Some folks swear by the BrightLine flight bag series. I carry a plain old backpack on board. Try some different configurations out and see what works for you. I’m even more fascinated by aviation now that I’ve been immersed in it. Weather patterns have a whole new meaning and application. New destinations are within reach for a day trip. And a whole new set of flying-related opportunities have presented themselves. Since earning my license, I’ve had the chance to fly over the Grand Canyon, attend the EAA AirVenture at Oshkosh, take lessons in a glider, and much more. Wanna talk flying? Say hi on Twitter!